Responsible for the training of the country's top amateur golfers, England Golf also organises all the major English amateur championships. England Golf works to actively encourage new golfers and increase the continued interest and participation in golf through its golf development initiative 'Get into Golf'. With lots of different ways to play, here’s why golf is a great game for everybody – whatever their age, background or budget. Plus all you need to know about costs and equipment. Golf is a game played on a large open-air course. Participants strike a small, hard ball with a club into a series of small holes in the ground trying to use the fewest possible strokes to complete the course.The sport’s unique handicap scoring system means that people of all levels can play together either socially or competitively. With plenty of time for conversation, golf is the perfect way to make new friends or grow closer bonds with people you already know. 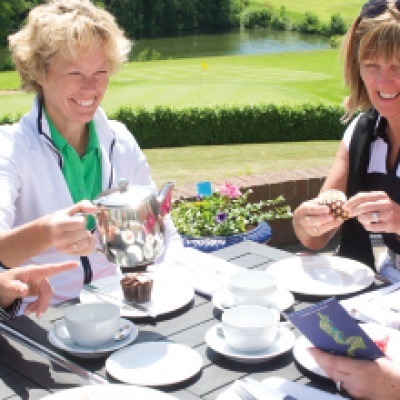 Golf can be competitive and a personal challenge- you can compete at club, county and national level. Beginner courses start from £25 for five weeks, with equipment provided through Get into golf activity finder. There are playing options, equipment and clothing to suit every budget. Beginners can start by simply wearing trainers and comfortable clothes – anything but shoes with a heel, however tiny, because you will need to stand flat on the ground to swing properly. Beginner courses will provide you with all the equipment you need, such as clubs and golf balls. If you would like to start delivering Get into Golf sessions at your golf club or driving range then please contact the relevant County Development Officer within your area for more information. Details of which can be found at the top of the page. It doesn't matter whether you've never played golf or if you haven't picked up a club since your school days or an almost-forgotten holiday. You can get started by taking advantage of the hundreds of free and low cost golf taster sessions and beginner courses on offer from the England County Golf Partnerships. Golf Express run by England Golf offers the 9-hole round of golf as a complete and enjoyable experience that is consistent with the traditions of playing the game. 9-hole rounds are compatible with the Rules of Golf and the handicap system. Golf's winning combination of exercise, sporting skill and social interaction make it the perfect tonic for good health and happiness. Taster session - Short session, usually an hour. Find out more about the sport, tour the golfing club, meet a golfing professional, Q&A session, learn the basics and hit some balls in a mini-coaching session. Beginner course - A step-by-step guide to the basics, from grip and posture to golf etiquette and how to play a full game. Vary across the country, but usually five weeks for £25. Some women-only courses available. 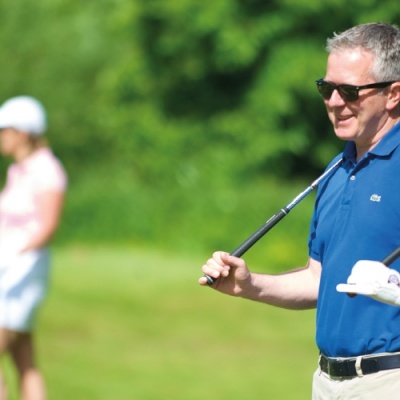 Learn golf in a day - This is usually a five-hour course, costing around £25. The same beginner skills as on the five-week course, but dovetailed into a single day. Improver course - Build on the skills you learned in the beginner sessions and start playing regular rounds, ideal way to meet other aspiring golfers. Just book, turn up on the day in comfortable clothing, equipment is usually provided. Golf Roots was introduced in 2003 to provide opportunities for children and young people in areas where golf had not previously been see as an option. The project has now evolved into the largest and most successful junior golf development project in the British Isles. The Golf Foundation's work is based on the 'Skills for Life' concept which promotes the idea that children and young people are able to develop not only playing skills, but also personal skills (such as honesty and respect) through the Foundation's initiatives (including Tri-Golf and Golf Xtreme). 'Skills for Life' is delivered through the Golf Foundation's national project - 'HSBC Golf Roots' - which includes community activity in schools and clubs. Golf offers all these benefits and more. It’s such an adaptable game that it suits everyone, whatever their age, fitness level or ability. Whether you want to keep healthy, burn calories or spend time with friends, golf is for you.